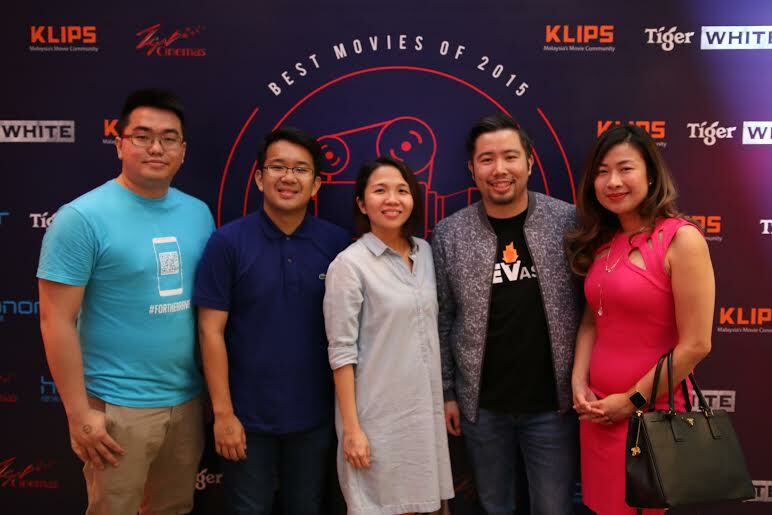 In partnership with TGV Cinemas and sponsored by Tiger White and Honor, online movie community KLIPS launched its first-ever movie screening event last Thursday (21 January) at TGV Encorp The Strand, Kota Damansara. Unlike KLIPS’ usual movie premiere/preview screenings all these while, this invite-only event had giveaways on the spot, free flow of beers and a bit of food before the screening of four of last year’s best locally released films according to the poll results as voted by more 3,000 Malaysians in December. Besides the screening, the exclusively invited attendees (500 of them being the lucky voters) received a goody bag from event sponsors Tiger White and Honor, while a lucky few walked away with a carton of Tiger White beer and Honor Z1 bands. Tiger White-sponsored hall for the screening of The Martian were served a bottle of beer while watching the film.